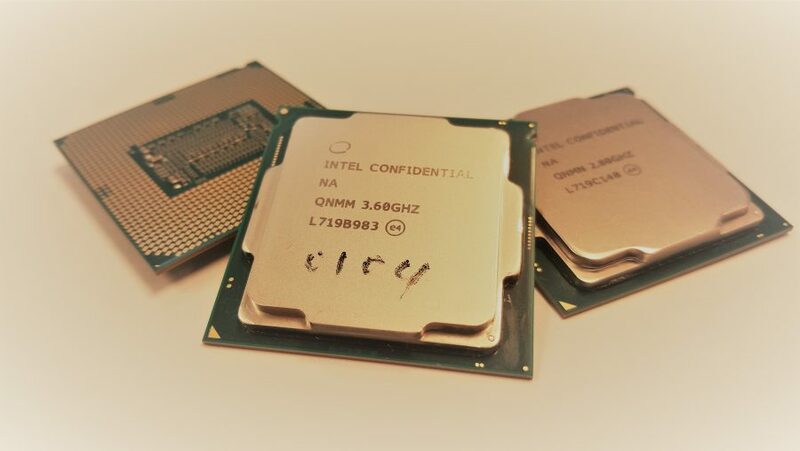 When is the rumoured Intel i9 desktop CPU going to launch? We’ve long suspected that Intel would update its Coffee Lake lineup with a new eight-core, 16-thread Core i9, and we’re 100% confident it will be this year. 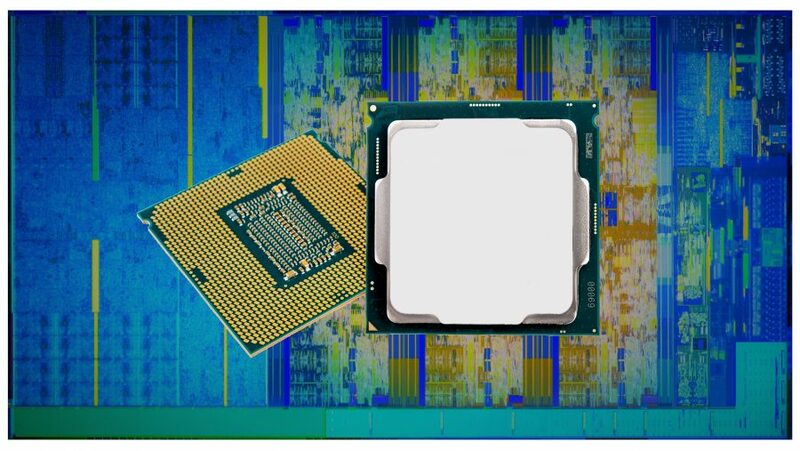 Since AMD launched its first genuine octa-core Ryzen processors back in the springtime of last year there has been talk of how Intel would respond, and finally it did… with a set of six-core CPUs in the 14nm Coffee Lake generation of chips. But we’ve been waiting for a Core i9 9900K, or something similar, to appear since the 12nm second-gen Ryzen processors arrived. It seems the i9 chips are now on their way. That’s because the pressure has really been put on Intel to up its core game over the last 18 months, especially in the face of AMD knocking it out of the park in the pro space, with its 32-core Threadripper monsters making the 28-core Intel chip look like mere pocket calculator stuff. So, when are we going to see an eight-core i9 on our desktops? We’ve long suspected the Intel i9 chips would arrive alongside the new Z390 motherboard chipset, which is set to arrive in Q3 this year. Recent leaks indicate the Intel i9 9900K may launch with a handful of other chips on October 1, 2018. The headline specs will be the core configuration. 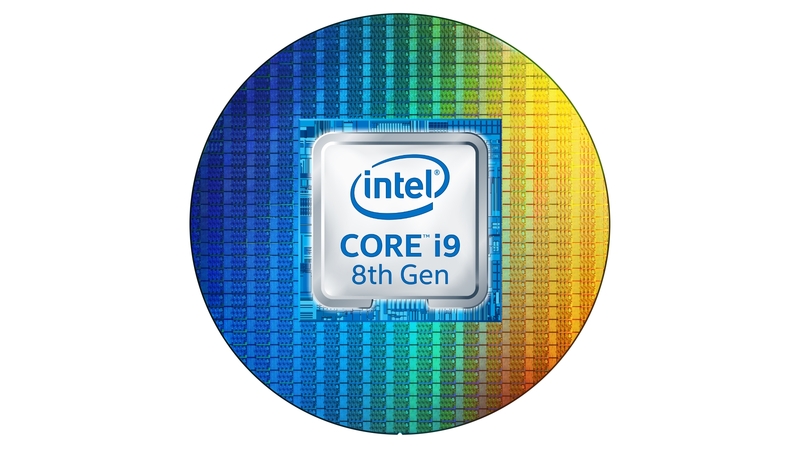 The whole point of going to an i9 nomenclature would be to accomodate an eight-core, 16-thread Core i9 over and above the six-core, 12-thread Core i7 CPUs in the existing Coffee Lake range. A pre-order listing for the i9 9900K puts it at $480, but that price hasn’t been confirmed. If Intel does decide on a hefty price tag for its new flagship CPU, it might struggle to compete with the much cheaper Ryzen 7 2700X. For the ultimate in gaming processors, and hang the expense, it’s highly likely that the Intel i9 will top the charts in both gaming and productivity compared with the second-gen Ryzen processors. But you’re going to have to pay for it. We’re confident that the Z390 motherboard chipset is going to be touted as the de facto standard for Intel’s first mainstream eight-core CPUs. But it now looks like Intel is not nixing backwards compatibility for its older Z370 boards, despite the Z390s being set to replace them. There’s nothing concrete from Intel with regards to its i9 release date, but we initially expected it will drop something in the third quarter of the year to both fit the back-to-school schedule and to give the Z390 chipset something to keep it company. But for a while it looked like the Z390 was going to launch first on its lonesome, potentially in order to have that as the default high-end motherboard ready for when the new processors arrive later in Q4. Leaked roadmap documents published by Videocardz show the Z390 boards replacing Z370 in Q3 with the Coffee Lake CPUs being replaced in Q4. But since then a leak from WCCFTech has bumped the Z390 motherboard and unlocked Coffee Lake refresh chips launch to the same day: October 1, 2018. Rumours suggest only the i9 9900K, i7 9700K, and i5 9600K will launch at this time, however. We think it’s still pretty likely that the Z390 boards will launch on their own, with the Coffee Lake refresh chips following a little later. Though we’re increasingly worried that it’s going to be little more than a paper launch given Intel’s struggles with “tight supply” of 14nm silicon with everything it makes now being produced on the 14nm node. This date has not been confirmed by Intel, however, but it is in line with other leaks and speculation, including an Intel roadmap, and is just a few days off when Intel’s Coffee Lake platform first launched with just a handful of chips back in 2017. As we mentioned, the product numbers for the upcoming Coffee Lake refreshes have been leaked by Intel itself, but a report by the ever-reliable WCCFTech has touted two further products above the Core i5 9600K that has been shown in Intel’s own documentation and in old AIDA64 release notes. Those are the Core i7 9700K and the Core i9 9900K. The Core i7 9700K is to be a slightly tweaked version of the current Core i7 8700K, with maybe 200MHz added onto the base clock speed. The Core i9 9900K, however, is the interesting one. That is the touted eight-core, 16-thread 14nm processor, delivering the highest core-count that Intel has ever dropped into a mainstream range. To be fair, AMD has rather forced its hand on that one, but the red team might want to be careful as an octa-core Intel CPU that’s happy to hit 5GHz, with a little judicious overclocking, could really give AMD’s best Ryzens some cause for concern. We know precious little else about the potential i9 9900K, though we can make an educated guess as to a few more of its specs. There have been some appearances of mainstream Intel eight-core CPUs on the ever-reliable SiSoft Sandra database, and though they come with low, pre-release clock speeds, there are some other specs available. 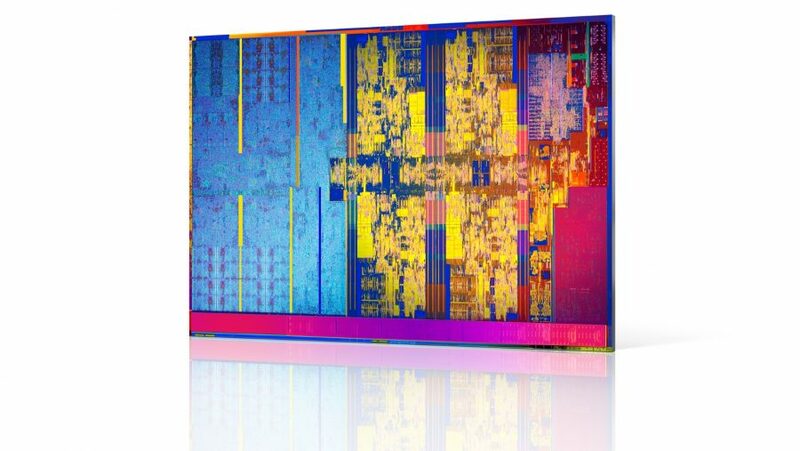 We’d expect the Intel eight-core processors to stick with the 16MB of L3 cache detailed by the SiSoft leak. The six-core chips have 12MB, and it would make sense to add another 2MB per core for the top-end Coffee Lake CPUs. In terms of clock speed it’s tough to say without knowing how well the cores operate with another two jammed into the same package. It’s quite possible that Intel won’t be able to offer the same level of base clock for the octa-core i9 9900K, so we might see these first-gen mainstream eight-core processors around the 3.5GHz mark. That said, the 14nm Coffee Lake architecture is about as mature as a CPU generation ever gets and so Intel should be able to get some decent yields and performance out of its latest silicon wafer designs. The other interesting point will be what the rated TDP of the chips is going to be. The i7 8700K and i5 8600K top the current charts at 95W, while the last Intel eight-core, the Core i7 7820X, was rated at 140W. We think we’re probably going to be looking at somewhere between those two figures, potentially around the 120W mark. With the current Core i7 8700K running at around $350, the i7 8086K sitting at $420, and the competing octa-core Ryzen 7 2700X at $320, it’s going to be difficult for Intel to find a price-point that doesn’t devalue its existing processor lineup, but is still able to deliver a knock out blow to AMD’s top chip. Etailer and serial delidder Silicon Lottery lists the i9 9900K for pre-order with a price tag of $480. That’s in the upper-range of where we expected Intel to price its top chip considering the equally-threaded Ryzen 7 2800X is much cheaper at around $320. Intel’s chip will likely be faster, but that’s a considerable price hurdle to hop. This seems to indicate the likelihood of Intel using this opportunity to cut the prices of its Core i5 and Core i7 processor ranges is minimal to the point of non-existence. That’s simply not the way the company works. The Core i9 range is seem to be in over and above the pricing of the current Coffee Lake processors, and the i7 9700K looks to be around the same price as its forebears at $370. 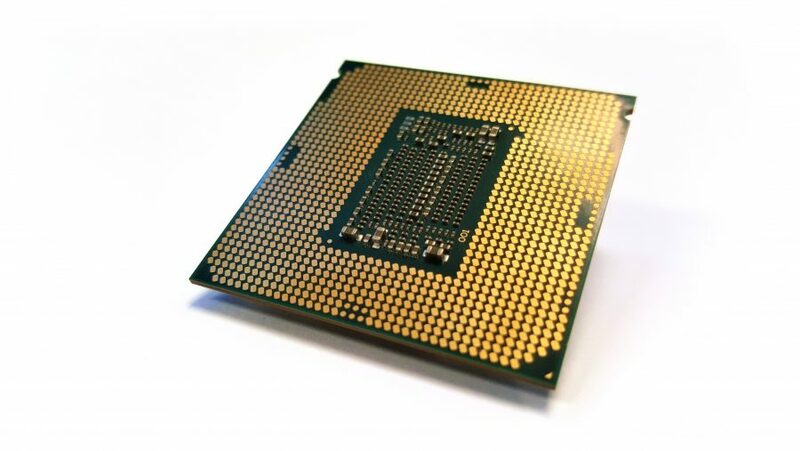 I would be surprised if Intel only produced a single Core i9 CPU, however, with a non-K series processor – one without the top chip’s overclocking chops – potentially following the initial hype with a lower price, lower clockspeed, and similar performance. And in terms of the AMD competition, it wouldn’t be much of a surprise at all for AMD to take this opportunity to release its updated Ryzen 7 2800X to fight back against the i9 9900K. Intel is going to sell the Core i9 processor as the ultimate gaming processor, touting its historic gaming performance and boasting of the extra streaming capabilities the extra cores of the i9 will offer. And, to be fair, it will have a point… if you’re a streamer. Intel still has the best absolute gaming performance compared with its AMD rivals, but we’ve been recommending the AMD Ryzen 2 processors because the difference is getting smaller and smaller. And with AMD’s better value, and higher core-counts, it’s had the better overall chips. 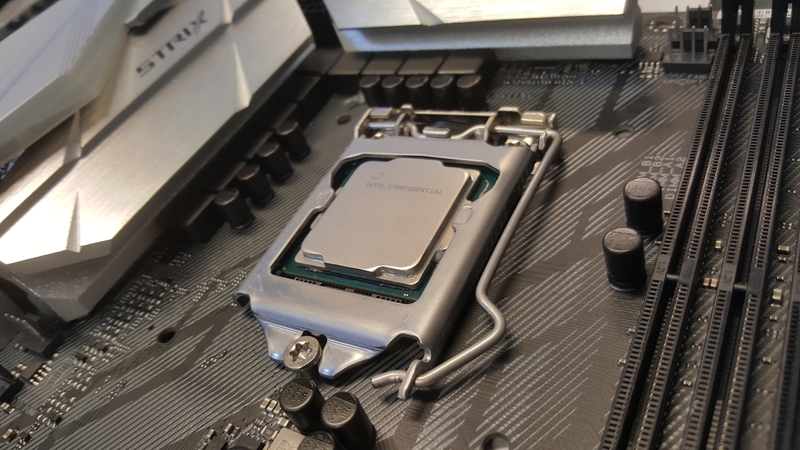 But if Intel has both the core-count and the gaming performance nailed it might be hard to look past the i9 9900K as the go-to processor every system builder wants to jam into their latest gaming rig. Intel is going to produce the Core i9 processors as the perfect accompaniment to its new Z390 motherboard chipset. After all, with so little difference between the old Z370 and new Z390 chipsets, there’s little else to recommend it. Which is a little worrisome if Intel’s past behaviour in terms of nixing support for new CPUs on old motherboards is to be taken into account. With the Coffee Lake processor launch it was announced that Z270 boards weren’t compatible with the new six-core chips and you’d have to pick up a Z370 board to run them. It wouldn’t have been at all surprising to see the same blocks put on running an eight-core Intel CPU in the Z370 motherboards. Though, with overclocking records being broken using what Intel claims is incompatible hardware, it would be difficult for Intel to justify any form of Z390 exclusivity. 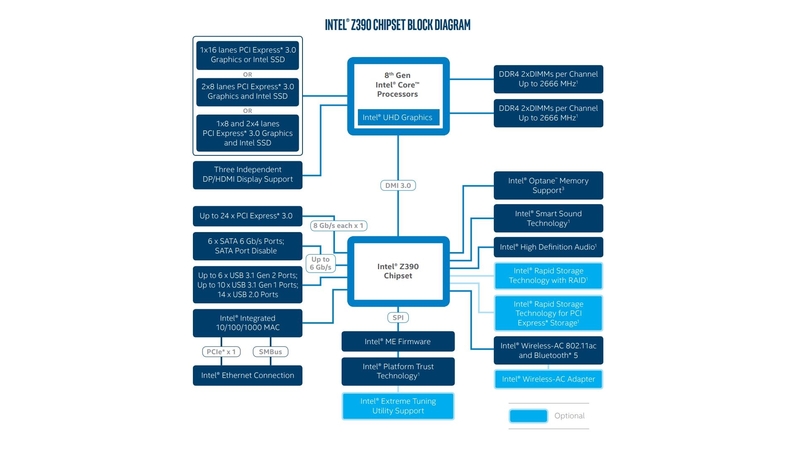 And after it released the specs for the Z390 chipset, which only served to highlight that the only real difference between it and the Z370 chipset was some native USB 3.1 Gen 2 support and a couple of different Intel Wireless modules. After an enterprising sort dug into the latest Z370 BIOS update from Asus it now seems nailed on that the eight-core i9 will be supported by the old Z370 boards. MSI has also just updated the BIOS for its Z370 boards to “Support New Generation CPU!” It hasn’t updated any of its H370 boards, which will also be able to run the new 9000-series CPUs, so that would also indicate the Z370s will accommodate the highest grade Intel mainstream processors. There’s also the fact that the eight-core engineering samples have been running in Kaby Lake chipset boards, as shown in the SiSoft benchmark database, which also indicates backwards support for the Z370 as that uses the old 22nm Kaby Lake PCH.